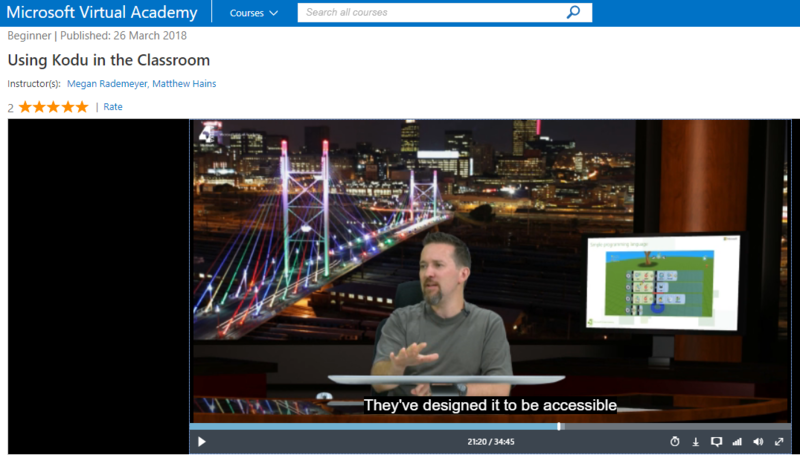 I had the privilege again of being invited to present another course on the Microsoft Virtual Academy site. The topic was about using Kodu to teach young children programming. Along with the very competent Megan Rademeyer from Schoolnet SA, we presented Kodu.